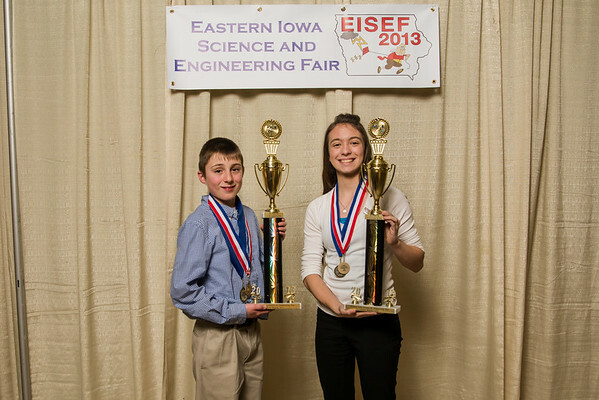 Good luck to all the students that participated in the Eastern Iowa Science and Engineering Fair in Linn Dale Mall today. 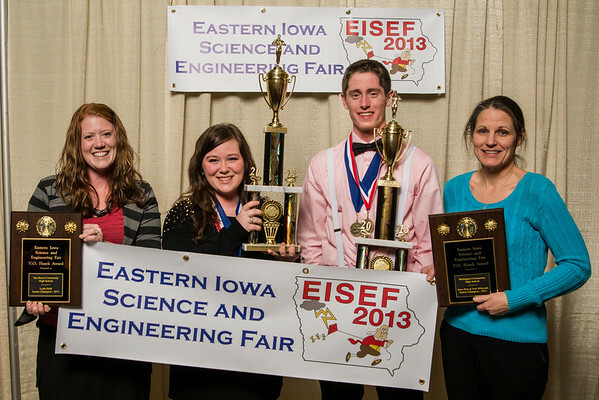 They had another great year with entries in both physical and biological sciences. I was fortunate enough again to be able to photograph nearly all of the displays. If you’d like to see the displays, you can go to the online gallery here: online gallery. Congratulations to senior champions Lydia Heald and Brice Plein and to the junior champions Lane Campbell and Lily Fuger. Senior Champions Lydia Heald (with her teacher Amanda Kite) and Brice Plein (with his teacher Elizabeth Sanning). Junior champions are Lane Campbell and Lily Fuger.